A. Which amphetamines are legal? There are both legal and illegal amphetamines. Legally prescribed amphetamines have a number of uses and are given for a variety of ailments. Narcolepsy and ADHD are some of the most common. Examples of legal amphetamines include Vyvanse, Dexedrine, Adderall, and Benzedrine. B. Which amphetamines are illegal? There are both illegal and legal amphetamines. While some are prescribed by physicians for legitimate medical uses, others are sold and used illegally. Examples of illegal amphetamines include speed and methamphetamine. Both of these stimulate the mind and body and may cause users to become physically energized, alert and focused. They also tend to make individuals become aggressive and sometimes even violent. Long term use of both drugs can be extremely damaging. Individuals may suffer from depression, paranoia, psychosis, a weakened immune system and heart problems. Their use can also result in dependency and even lead to death via overdose. C. Can I die from an amphetamine overdose? Yes, it is possible to die from an amphetamine overdose. Amphetamines are central nervous system stimulants and place a ton of strain on the heart. When taken in high doses, individuals may suffer from a heart attack and die. D. Are amphetamines dangerous? Amphetamines can be dangerous. Just how dangerous they might be depends on the particular drug taken and whether or not it is misused. There are documented cases of people dying form amphetamines such as Adderall, even after taking it according to their doctor’s instructions. Seizure and heart attack are possible dangerous side effects. Illegal amphetamine use (meth and speed) is especially dangerous and risky. Another amphetamine-related danger is dependency. Individuals can and do become addicted to amphetamines. E. What do I do if I have developed an addiction to an amphetamine? 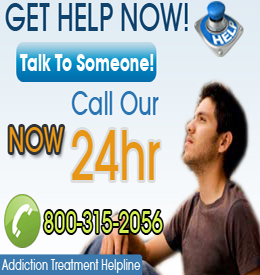 Individuals who find themselves addicted to amphetamine may require drug rehabilitation. This is especially true if the addiction is severe. Unfortunately, it is possible for users to become hooked on both legal and illegal drugs. There are Adderall (a prescription amphetamine) addicts, and methamphetamine (an illegal amphetamine) addicts. Both types (prescription and non-prescription addictions), if the dependency is severe enough, may require rehab.